Daniel joined Kesner, Godes and Morrissey, LLC in 2014. He graduated from the University of Massachusetts Amherst in 2012 with a Bachelor of Business Administration in Accounting & Information Systems. He also continues to further his knowledge by preparing for and pursuing his CPA license. 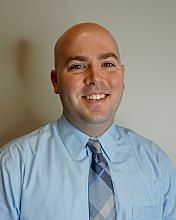 Daniel has years of experience in individual and corporate tax preparation, as well as financial statement preparation. In his free time, Daniel enjoys playing golf and spending time with family and friends.